Dumex – Danone baby food unit – said it is investigating claims the company bribed hospital staff in China to use its products. 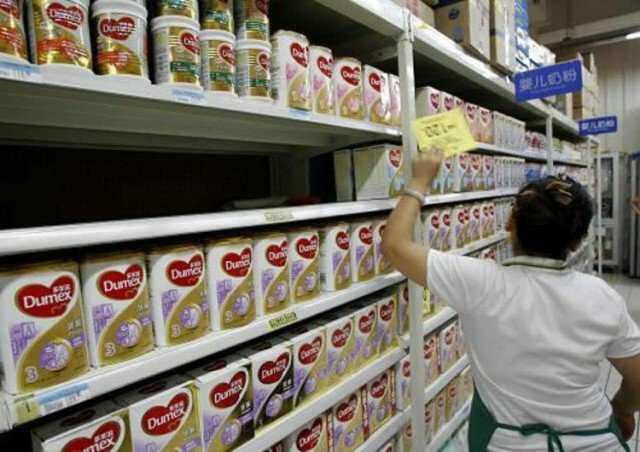 According to China Central Television, Dumex allegedly paid doctors and nurses in the northern city of Tianjin to promote its baby formula products. The report, which cited an unidentified former sales manager, comes amid an anti-corruption drive by Beijing. Dumex said it was “extremely shocked” by the allegations. “Dumex Baby Food Co strictly adheres to Chinese laws and regulations,” a company spokeswoman said in a statement. The latest allegations against Danone come amid a government-led crackdown on corruption in its $350 billion healthcare market. Some inquiries have targeted foreign firms, including British pharmaceutical giant GlaxoSmithKline, which is being investigated for allegedly using inducements to promote the sale of its medicines. In the CCTV report, Danone’s Dumex brand is accused of giving “sponsorship fees” or payments of up to 10,000 yuan ($1,632) to hospital staff. The French food giant has faced numerous problems in China this year. Danone cut prices for its infant milk formula products by as much as 20% after China’s top economic planning body fined it in August for price-fixing. The firm also had to issue a precautionary recall of its milk formula products last month after one of its suppliers, Fonterra, said some items may have been contaminated. China is an important market for companies such as Danone, which is the country’s third-largest baby formula provider. Danone’s baby nutrition unit also makes more than 20% of its overall sales from China. Demand for foreign brands has surged in China, after tainted milk scandals in recent years led to a distrust of local producers. According to some estimates, foreign brands now account for about half of all infant milk sales in China.